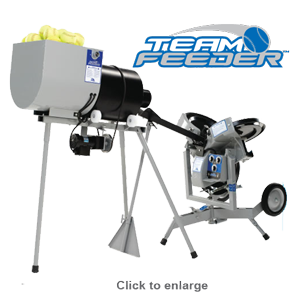 The 75 ball capacity Team Feeder will feed a softball into the Hack Attack or Junior every 5.5 – 6.5 seconds for continuous hitting time of 20 minutes. Feeds both Hack Attack and Junior Hack Attack. 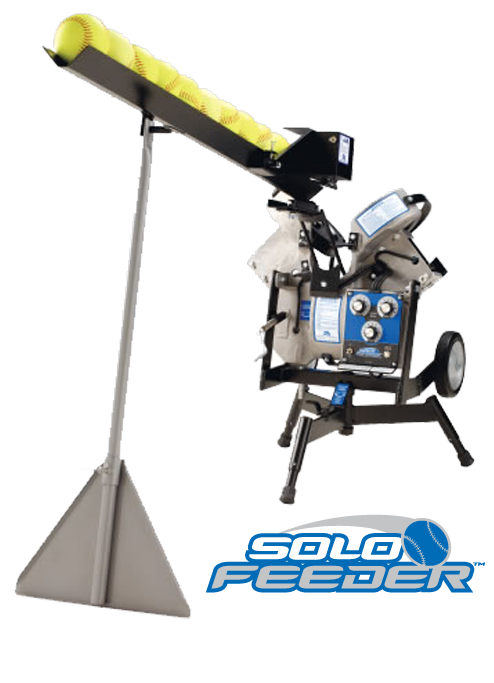 Extremely portable 11 softball capacity Solo Feeder provides adjustable intervals between pitches. Feeds both the Hack Attack and Junior Hack Attack. Converts Softball Hack Attack machine to Baseball machine. Converts Softball Junior Hack Attack machine to Baseball machine. Enables the Junior Hack Attack to throw 7.5″ undersized balls for vision training. 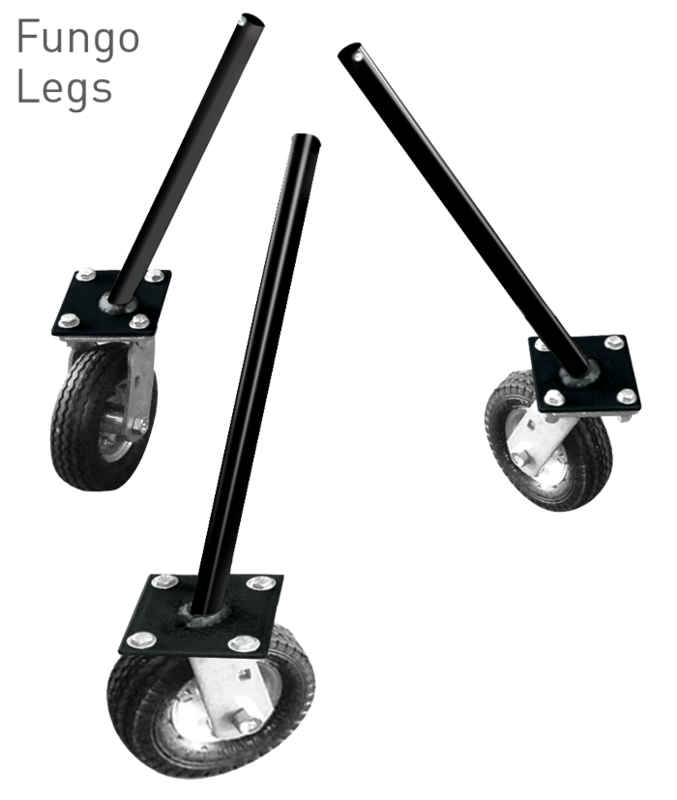 Set of 3 legs with solid, heavy-duty casters for the Hack Attack Softball Pitching Machine. Allows for ease of maneuverability around the field during fungo training.